The disaster necessities that will get people through a crisis are listed, explained, and suggested inside Absolute Rights' new Special Report. 2011 was the most expensive year in terms of disaster losses in history, mostly because of the accumulation of catastrophes affecting countries with developed infrastructures and seemingly adequate response plans. According to today’s AbsoluteRights.com article, people don’t consider the disaster necessities they and their families would require in a moment of life-changing crisis. If they had to leave home in a hurry, most don’t know the crucial things to bring along. For every ten people in disaster situations, nine are nowhere near as prepared as they should be. That's why Absolute Rights' latest Special Report, which provides the skills and knowledge necessary for survival in a variety of circumstances, is so important. 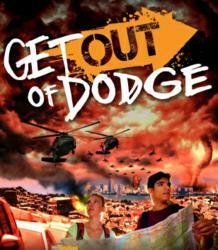 “Get Out Of Dodge” and its supplemental workbook is a hands on guide to emergency preparedness planning. The enemy emergency management plans is sloth, said the article. Natural and man-made disasters happen more often than people think; the unprepared run the risk of death with each passing hurricane, riot, or wildfire. Developing countries are certainly more prone to major crises since they are less prepared for what they face, stated the article. That gives places like America a mentality that, even if something bad were to happen, things would be fine and the country would come out of it unscathed. In reality, rich and powerful countries face the same response and preparation challenges, and are actually more exposed due to the expense of property damages. In fact, 2011 was the most expensive year in terms of disaster losses in history, mostly because of the accumulation of catastrophes affecting countries with developed infrastructures and seemingly adequate response plans. That fact comes from a soon-to-be-launched Natural Disasters Review conducted by The Brookings Institution. If that’s not reason enough to start thinking about catastrophe preparedness, the wide-ranging plans for survival included in “Get Out Of Dodge” will be. Nowhere else will such a comprehensive collection of survival skills be found: kit supply recommendations, communication plans, evacuation methods, personal protection, and situational awareness are all available in the Special Report. The article said every disaster requires people to take stock of their belongings and determine what’s most valuable. If they’ve already anticipated what those things are, it’s that much easier. The disaster necessities that people need are listed and explained in “Get Out Of Dodge,” which is available now for Absolute Rights subscribers.